This chapter is based on a study that examined the International Education and Resource Network Science Technology and Math (iEARN-STM) online professional development course. The study used the constructivist framework as the conceptual model to examine the way in which the constructivist theory has shaped the design and implementation of the course, as reflected by the interactions among the participants in the course. The participants were 28 educators, who were working in different educational institutions in different countries throughout the world. The purpose of the study was to identify the constructivist learning principles that were behind the success of the course. The results of the study show that the constructivist approach to course design and delivery provides a powerful structure for creating learning environments conducive to the development of professional skills among educators. The results provide online professional development course designers with insights on how to plan and deliver a successful course. The learning environment is progressively becoming more digital. Many educational institutions from primary schools up to universities continue to adopt information communication technology to provide education that develops the 21st century learning competencies among digital learners. In order to keep pace with the demands of the increasingly digital learning environment, many educational institutions such as universities and colleges have adopted professional development as an essential component of capacity building among educators. Professional development is indispensable if educators are expected to master the relevant professional competencies required to teach in the new learning environment. However, given the complex changes taking place in the educational environment, Wilson and Berne (1999) argue that traditional professional development has been rendered irrelevant, ineffective and fractured to the extent that educators who go through it will be ill-prepared to teach in the new learning environment. As a result, many educational institutions have turned to online professional development courses to provide solutions to the professional development needs of today’s educators. Online professional development opportunities have dramatically increased in number over the past few years as technology has advanced (Cavanagh, 2013). Today in existence is a number of online professional development courses that offer educators the opportunity to improve their professional practice. While such programs are propagating rapidly and consuming substantial financial and logistical resources, not all of these courses have yielded desired results. This is so mainly because most of these courses have replicated the traditional face-to-face pedagogical models. Instead, of taking advantage of new technology to create a rich learning environment, they have simply replicated the traditional face-to-face model of pedagogy rather than taking advantage of technology to create a rich learning environment. What constructivist principles are used to design and implement the iEARN professional development course? To what extend does the design and implementation of the iEARN online professional development course incorporate constructivist pedagogical principles? What lessons can be learnt from the iEARN online professional development course and how might these be of assistance to other institutions, researchers and practitioners interested in using online professional development to support professional development? In terms of organisation, the chapter begins by examining the constructivist theory, particularly focusing on gleaning out the epistemological propositions we could use to develop effective online professional development courses. 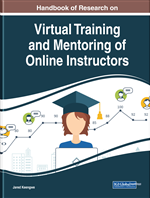 Using the insights from this discussion, the chapter goes on to identify the constructivist features that have influenced the successes that have been achieved by the iEARN online professional development programmes. This is done to allow us to draw lessons that we could apply to design and implement our own online professional development courses. Online Course: This is a course in which all course activities are done online, there are no face-to-face sessions required. Professional Development: This refers to any action undertaken to improve professional performance. Facilitator: The person who helps the learner to develop knowledge and skills by providing guidelines, feedback and advice throughout the learning process. Online Professional Development Course: This refers to a professional development that takes place on the internet with all its activities being carried on the internet. Online Learning: This is an umbrella term that includes any type of learning that is accomplished on a computer and usually over the internet.